In honor of BDC’s National Small Business Week, the Chamber is excited to present the third annual Business Showcase! This one day, tradeshow-style event will be an opportunity for businesses from the Tri-Cities and beyond to promote and sell their products and/or services, discover new businesses and connect with hundreds of like-minded professionals and community members. This event will also include three-four professional breakout seminars and samplings of food and beverages. 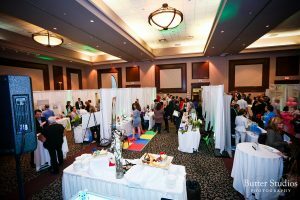 Last year, the Business Showcase exhibitor spaces sold out in just two weeks! We hope you’ll join us again this year. Tickets are free and include food and beverage samples, access to the Business Connection Lounge, and 4 valuable breakout sessions in the Education Lab.